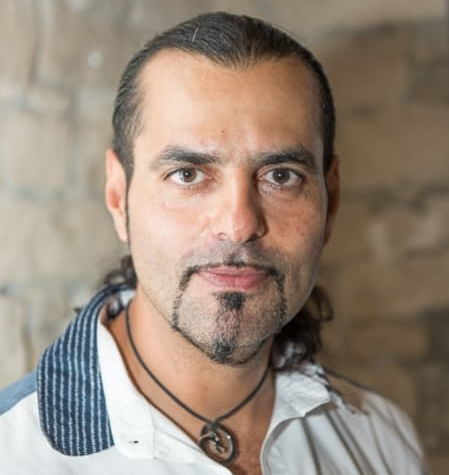 Here at Netresort we talk to clients a lot and like to listen to their concerns, hear their problems and try to propose the best answers to all their online business stresses and worries. A question that keeps coming up again and again in our encounters with entrepreneurs across the entire spectrum is the dilemma of choosing between resorting to Pay-Per-Click (PPC) ads or preferring an organic Search Engine Optimization (SEO) strategy. As always, the answer to this conundrum cannot be a simple yes to the one and no to the other, but a fairly complicated “it depends”, because it truly depends on what your business goals are and what it is exactly that you are trying to achieve. SEO is much more than simply optimizing your website its content in order to achieve higher rankings in organic search results for your targeted keywords; its underlying aim is to help you become and be viewed by consumers as an authority on their problems as well as on the solution you offer them. The major search engines like Google, Yahoo, and Bing rank your site based on several factors, but chief amongst them is how visitors interact with your online offering and if they return to you for more. Moreover, search engines like to see other authoritative sites linking to the pages of your own site, as a sign of your credibility and worth. On the other hand, PPC (Pay Per Click) entails paying for advertising space for specific targeted keywords on search results pages. These results are always displayed at the top of any search engine results page and are accompanied by a tag that labels them as an “Ad”. 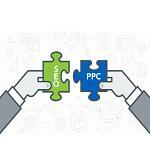 PPC might sound simple, but bear in mind that there is space and usefulness for optimization even during the creation of a simple paid ad or an ad campaign. The natural search (SEO) results are displayed in the main area of the search results page, below the top ad space that is reserved for paid ads through PPC. So, does the fact that your presence for a specific keyword on the first page of results can be either bought via PPC or earned organically through SEO efforts, automatically means that organic SEO is better than PPC? Again the correct answer is that it depends. In fact, you should be aware that search engine optimization is too important to be left out or ignored and thus it must always be part of any medium or long term web marketing strategy. This is further highlighted by the fact that the traffic leads brought to you via SEO are always of a much better quality, especially because research has shown that there are many online users who consciously or even subconsciously completely ignore the paid results when browsing or searching online. If you manage to rank high in major search engines for a specific keyword or phrase, naturally and organically, this alone makes consumers believe that you are both a credible vendor and a key, authoritative player in your industry and market. In fact, there is plenty of data suggesting that the visitors that reach you due to natural searches are far more like to trust you and end up becoming actual customers for your products or services. Having said this, don’t rush to completely trash out PPC just yet! A significant factor to take into account is that effective SEO needs time and comes at a cost, whether in terms of time if you decide to implement it yourself or real cost if you decide to hire an expert SEO agency to devise and implement your optimization strategy. Moreover, and under certain conditions and in specific circumstances PPC could be better than organic searches and can result in significantly high return on investment, provided the ad campaign is set up properly and doesn’t just land on top because you offered the highest bid for a specific keyword. Furthermore, another benefit of PPC over SEO is that it enables you to place advertisements on other authoritative sites that attract significant traffic which fits the profile of the ideal customer you are trying to attract. This increases the visibility of your offering and make urges consumers to consider you in a better light if you crop up while they are reading their favourite blog or newsite. To sum it all up, when trying to unravel the original dilemma of whether PPC or SEO is the go to solution for your own business, you need to take into account all the facts. Such a fact is that PPC can be a superb way give you a head start in your digital marketing efforts and it can truly bring immediate traffic your way. The basic requirement is that you set up your paid ads properly and to do so you need to either hire someone to do it for you or dedicate the time to get trained and certified yourself. Such training is offered for free for businesses via Google’s own processes both for Google Adwords and for Google Analytics. However if you cant spend time and effort to learn how to properly set up a paid ads campaign, then you must hire an external party with the necessary experience and training to implement PPC effectively. The only down side to remember is that PPC traffic lasts only for as long as you keep paying for it and once you stop paying the traffic stops pouring in as well. With Search Engine Optimization things are more demanding and complicated and definitely need more time in order to build your site as an authoritative presence and allow search engines to index you for the keywords you are after. Moreover, and especially if you are operating in a market that is highly competitive you may experience many fluctuations in your ranking efforts through SEO, because your competitors may well intensify their own efforts and achieve better rankings than you at any time. This should not discourage you as it is certain that a long-term SEO strategy, when planned and implemented correctly, always results in better quality and better qualified leads with higher conversion prospects. An added benefit is that SEO efforts overall and in a concerted manner, including improving your content, your title tags and meta descriptions and back linking in your site, always directly help the results you stand to obtain from any PPC campaign you decide to launch. 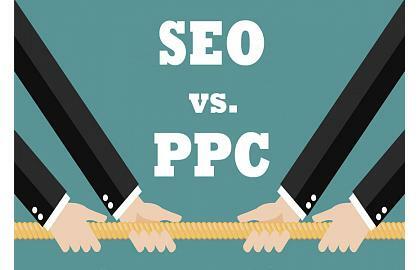 Both PPC and SEO then have their respective advantages, but come with limitations and requirements in terms of time, effort and associated cost. To rank high in search engines you do not need to choose one over the other but rather combine them both, with the correct and expert implementation to reap the benefits to be had and rank high for your targeted keywords.